Таверна «Пьяный Дракон» :: Просмотр темы /View_topic - any progress on 2.9? Добавлено: Ср Июн 06, 2018 21:05 Заголовок сообщения: any progress on 2.9? Yes, would much appreciate a translation on the latest version! Thanks again so much for the work doing this for us English speakers. Is it coming? Hopefully this month? So far, I've only downloaded the latest release. Maybe if I squeeze in a few hours here and there. 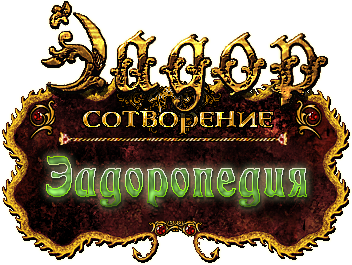 Sup, been following this game for a long time and I have visited this forum form time to time even though I don't understand Russian =D. Any news regarding new version? That sounds like a plan. Thank you. We are in massive debt to you. You are carrying the poor non russian speaking Eador fan base afloat . Just also wanted to add my appreciation. While few folks post in this forum, lots of people play this New Horizon mod that you translate. Also, in my opinion, it's fine to leave unimportant things untranslated and just release it. I will try my best to release *something* before Christmas! I don't want to be rude or hurry you, but when can we expect a release? Is this abandoned? I was waiting to start a new campaign with the new version but if it's abandoned, I will start with the old version. I believe it's not, just wait a little bit, it usually takes a lot of time to translate here. I've been making slow progress because I'm pretty busy at the moment. There are only 100 segments left to translate, so roughly 2-3 hours of work. Should be done this weekend, or next weekend. Take your time, no stress, this game is so worth it (the wait) =D. Eventually I should start a thread because I've played it for the past couple years and I'm so so so terrible at it, it's insane. Can't get anything beyond skilled level haha. I don't want to be that guy, but is there any chance that 2.9 will be finished this weekend? Thank you for your work and attention.